A buffet of bean bags for little foodies! How can pint sized foodies have fun without stepping foot into the kitchen? With a delicious collection of food inspired bean bags of course. 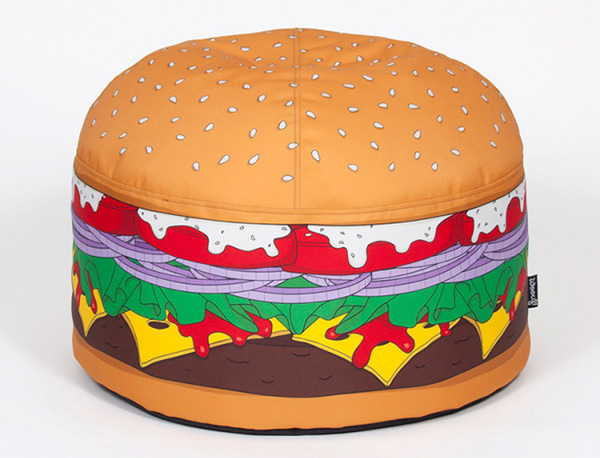 Be it a cupcake snack or a yummy burger, there’s a bean bag fit for every appetite! No matter how classic or on-trend your space is, there should always be room for a fun novelty item. Petite Jolie’s collection of bean bags are oodles of fun and just the right size for food loving kids. Made from a durable and kid-friendly canvas, these bean bags have a water repellent covering so accidental drink spills can be dealt with easily. Anything else (dirty feet and hand marks) can be sorted simply by throwing the bean bag cover in the washing machine. A buffet of bean bag comfort awaits – including a sweet Cupcake ($129.95), Cake Slice ($119.95), Ice Cream ($119.95), even a Burger ($119.95) and Fries ($99.95). My heart (as always) lies with the Yummy Doughnut ($129.95), complete with chocolate icing and expertly dotted with coloured sprinkles. 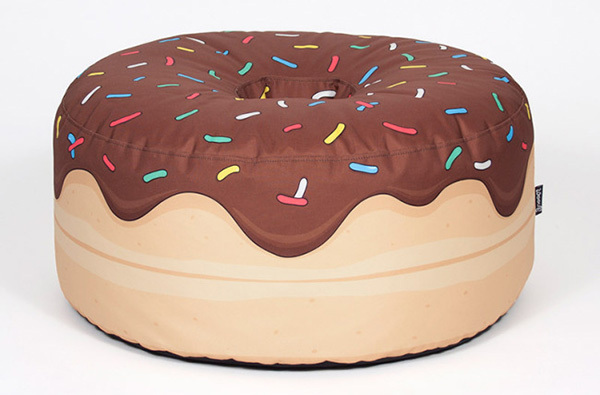 You can shop these bean bags in the food aisle at Petite Jolie and for even more novelty food decor fun, see our 10 delicious decor treats for nurseries and kids’ rooms post!